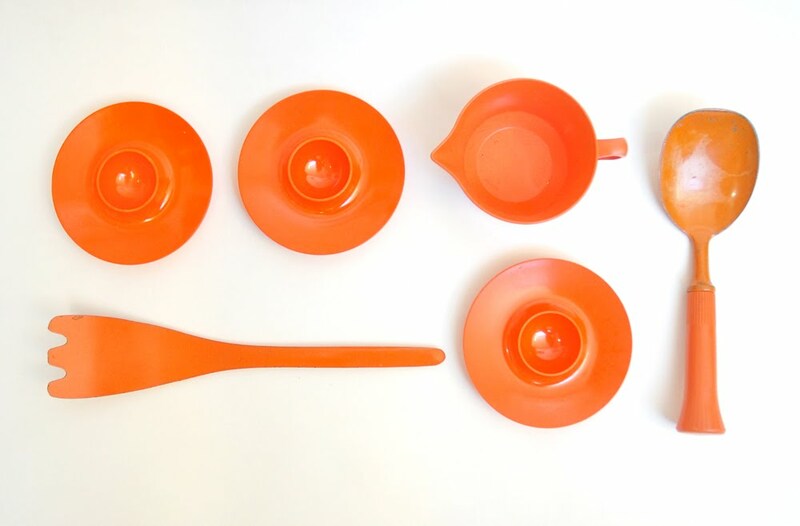 Vintage orange plastic and metal kitchen tools. I am seriously in love with all of your colorful, vintage kitchen gadgets. Why are people so afraid of color nowadays?